Includes Jacket and Pants and free belt in your color and size. The All Purpose Gi is an industry standard when it comes to balancing comfort with performance. For over 50 years Fuji has been a leader in gi design, and in this model they utilize their highly respected single weave construction. The Single Weave provides comfort and mobility during training while avoiding some of the pitfalls of extra heavy uniforms. Q. Is size A2 same as F2? A. Is size A2 same as F2? Comment. Is size A2 same as F2? Q. I'm 5'10" 165lbs, should I go with A2 or A3? A. I'm 5'10" 165lbs, should I go with A2 or A3? Comment. I'm 5'10" 165lbs, should I go with A2 or A3? I'm 5'10" 165lbs, should I go with A2 or A3? Q. I'm 5'9, 165 pounds. I'm assuming A2 is the way to go? A. I'm 5'9, 165 pounds. I'm assuming A2 is the way to go? Comment. I'm 5'9, 165 pounds. I'm assuming A2 is the way to go? I'm 5'9, 165 pounds. I'm assuming A2 is the way to go? Q. is this the fuji all around? A. is this the fuji all around? Comment. is this the fuji all around? is this the fuji all around? If you're between 110 - 140 lbs then A1 is the way to go. Q. Hi, I am 5'8", 220, 49" chest & 39" waist. What size would you recommend? A. Hi, I am 5'8", 220, 49" chest & 39" waist. What size would you recommend? Comment. Hi, I am 5'8", 220, 49" chest & 39" waist. What size would you recommend? Hi, I am 5'8", 220, 49" chest & 39" waist. What size would you recommend? A4 is the best choice for ya. Q. I usually wear small in men's shirts and 30x30 jeans. A. I usually wear small in men's shirts and 30x30 jeans. Comment. I usually wear small in men's shirts and 30x30 jeans. Q. I am a 5' 6", 140-145 lb female with a muscular build. Would A2 be okay? A. I am a 5' 6", 140-145 lb female with a muscular build. Would A2 be okay? Comment. I am a 5' 6", 140-145 lb female with a muscular build. Would A2 be okay? I am a 5' 6", 140-145 lb female with a muscular build. Would A2 be okay? I usually wear small in men's shirts and 30x30 jeans. Hi Tina. An A2 would probably be good since you can shrink any extra space via hot wash and spin dry. A1 would probably fit but you would have to be very careful with the shrinking. Q. I own this gi in a black A3 and it's a bit baggy in the pants. I'm 5'8" and 170 lbs. I fall right on the line of . 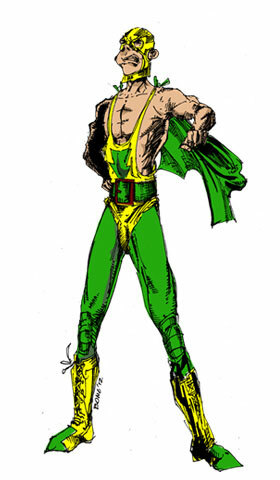 . .
A. I own this gi in a black A3 and it's a bit baggy in the pants. I'm 5'8" and 170 lbs. I fall right on the line of . . . Comment. I own this gi in a black A3 and it's a bit baggy in the pants. I'm 5'8" and 170 lbs. I fall right on the line of . . . I own this gi in a black A3 and it's a bit baggy in the pants. I'm 5'8" and 170 lbs. I fall right on the line of a2 and a3 weight recommendation. I would like to get a white one and not sure if I should make the jump down to an A2 or another A3 and attempt to shrink it. Have a suggestion? Thanks. Hey murphy. If you want to try an A2 you can return it for free if it doesn't work out. Just don't try to wash-shrink it until you are sure you want to keep it. Q. I'm just starting out and looking for an extra gi. Don't really know what size to get so here are my measurements: about 5'9'', 216 lbs, 47'' chest, . . .
A. I'm just starting out and looking for an extra gi. Don't really know what size to get so here are my measurements: about 5'9'', 216 lbs, 47'' chest, . . . Comment. I'm just starting out and looking for an extra gi. Don't really know what size to get so here are my measurements: about 5'9'', 216 lbs, 47'' chest, . . . I'm just starting out and looking for an extra gi. Don't really know what size to get so here are my measurements: about 5'9'', 216 lbs, 47'' chest, usual pant size i wear is around 34x30. Looking for size recommendations, thanks. The A2 would be ideal for your height but may feel a little snug. I might recommend bumping up to the A3. Q. I'm 5'9.5", 145-150 lbs. Should I go with A2 or A3? I don't want the gi to be too loose, but I'm concerned about the A2 shrinking. Thanks! A. I'm 5'9.5", 145-150 lbs. Should I go with A2 or A3? I don't want the gi to be too loose, but I'm concerned about the A2 shrinking. Thanks! Comment. I'm 5'9.5", 145-150 lbs. Should I go with A2 or A3? I don't want the gi to be too loose, but I'm concerned about the A2 shrinking. Thanks! I'm 5'9.5", 145-150 lbs. Should I go with A2 or A3? I don't want the gi to be too loose, but I'm concerned about the A2 shrinking. Thanks! Hi Scott. A2 is a great fit, but if you intend to do hot washing and spin drying you would definitely have a problem with the shrinking. In that case, you would want to go A3. Alternatively, you could cold wash and hang dry the A2. Q. Thanks! One last question, the Gi on the Fuji website has their logo on the arm. Does this one as well? Or is it a different model? Thank . . .
A. Thanks! One last question, the Gi on the Fuji website has their logo on the arm. Does this one as well? Or is it a different model? Thank . . . Comment. Thanks! One last question, the Gi on the Fuji website has their logo on the arm. Does this one as well? Or is it a different model? Thank . . .
Q. I am 6'3'', 230 lbs. with broad shoulders. Should I go A4 or A5 and try to shrink? I've tried the A5 from Ronin Brand 6'3" -6'7"' 235-270 . . .
A. I am 6'3'', 230 lbs. with broad shoulders. Should I go A4 or A5 and try to shrink? I've tried the A5 from Ronin Brand 6'3" -6'7"' 235-270 . . . Comment. I am 6'3'', 230 lbs. with broad shoulders. Should I go A4 or A5 and try to shrink? I've tried the A5 from Ronin Brand 6'3" -6'7"' 235-270 . . . I think your safest bet is to go A5, and then if it is baggy to let a little hot washing tighten it up. You get that patch but it does not come sewn on. You can choose to sew it on if desired. Q. I'm 5'10.5" and 215lbs. on my way down to 180lbs. I also have every intention of shrinking it because... it's definitely going in the dryer. Knowing that do . . .
A. I'm 5'10.5" and 215lbs. on my way down to 180lbs. I also have every intention of shrinking it because... it's definitely going in the dryer. Knowing that do . . . Comment. I'm 5'10.5" and 215lbs. on my way down to 180lbs. I also have every intention of shrinking it because... it's definitely going in the dryer. Knowing that do . . . I'm 5'10.5" and 215lbs. on my way down to 180lbs. I also have every intention of shrinking it because... it's definitely going in the dryer. Knowing that do you think I should get an A3 or A4? Also, which belt size? I think you'll be well suited with the A4. As for the belt - if you carry weight around your belly region go with a4 also. If you don't, a3. Q. Really, really, liking this Gi although the rashguard lining should've continued down the sleeves (like my Tatami Spirit Of Japan). After removing the, scratchy, patch/tag it's now great. . . .
A. Really, really, liking this Gi although the rashguard lining should've continued down the sleeves (like my Tatami Spirit Of Japan). After removing the, scratchy, patch/tag it's now great. . . . Comment. Really, really, liking this Gi although the rashguard lining should've continued down the sleeves (like my Tatami Spirit Of Japan). After removing the, scratchy, patch/tag it's now great. . . .
1st let me say that BJJHQ/MAS customer service is easily the best I've ever experienced with any company ever! sleeve tip to sleeve tip, 67"
waist to leg opening, 38.25"
Q. I'm 5' 11 3/4" tall and about 155 -160 pounds. My waist is a 32. I was thinking the A3 would work but might be too baggy. Do . . .
A. I'm 5' 11 3/4" tall and about 155 -160 pounds. My waist is a 32. I was thinking the A3 would work but might be too baggy. Do . . . Comment. I'm 5' 11 3/4" tall and about 155 -160 pounds. My waist is a 32. I was thinking the A3 would work but might be too baggy. Do . . . I'm 5' 11 3/4" tall and about 155 -160 pounds. My waist is a 32. I was thinking the A3 would work but might be too baggy. Do you think an A2 would work for me??? Oh and also do you know when you might have more A3 or A2 sizes available??? Q. I am a 5'4 200 pound female. What size would be best for me? Thanks! A. I am a 5'4 200 pound female. What size would be best for me? Thanks! Comment. I am a 5'4 200 pound female. What size would be best for me? Thanks! I am a 5'4 200 pound female. What size would be best for me? Thanks! Hi Melissa. I recommend going with the A4. If you can hem the pant legs and sleeves you'll be good to go. Q. thanks helped a bit but i wanted to know the actual sizes like waist 46 etc but from what ive read it seems like the size for me . . .
A. thanks helped a bit but i wanted to know the actual sizes like waist 46 etc but from what ive read it seems like the size for me . . . Comment. thanks helped a bit but i wanted to know the actual sizes like waist 46 etc but from what ive read it seems like the size for me . . .
Hi Elisee. Try the 'find your size' button at the top of this page. I think you'll find it helpful! If you don't let me know. Q. New to jiu jitsu and looking for a gi. 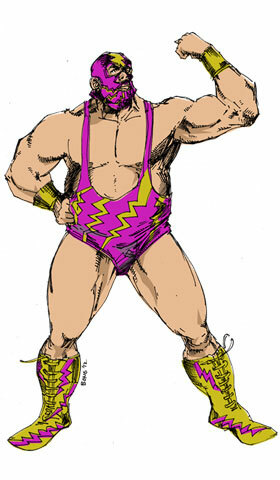 I am 5'11" 315lb, a bowling ball and stocky. What size gi should I buy? A. New to jiu jitsu and looking for a gi. I am 5'11" 315lb, a bowling ball and stocky. What size gi should I buy? Comment. New to jiu jitsu and looking for a gi. I am 5'11" 315lb, a bowling ball and stocky. What size gi should I buy? New to jiu jitsu and looking for a gi. I am 5'11" 315lb, a bowling ball and stocky. 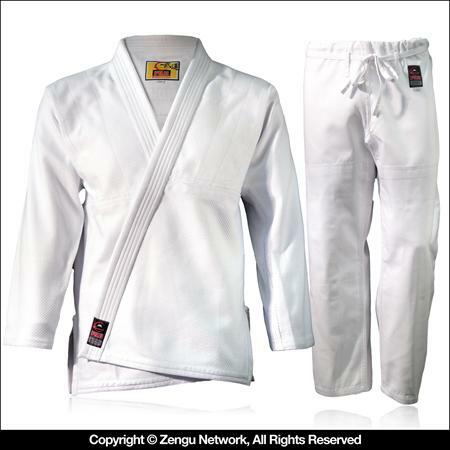 What size gi should I buy? Hi jdgreen. I recommend going with the A6 and have the sleeves and pant legs hemmed a bit for proper length. Q. Build: Roy Nelson. And how much is shipping to New Zealand? A. Build: Roy Nelson. And how much is shipping to New Zealand? Comment. Build: Roy Nelson. And how much is shipping to New Zealand? And how much is shipping to New Zealand? I would suggest the A4 in this situation. A5 might be too much in regards to height. As for shipping, add the item to your cart and go to 'checkout'. From there, add your address and continue the process. Before you have to pay anything you will be presented with shipping options, costs, and predicted arrival dates. I feel like A2 would be an ideal fit, but only if you are comfortable with cold wash and hang dry. Otherwise bump it up to A3. I'd say go with the A2. It will be the best fit, even with a little space for shrinking. That being said, I would still recommend cold wash and hang dry. Q. 5-11 and 145 pounds. What size would you recommend? A. 5-11 and 145 pounds. What size would you recommend? Comment. 5-11 and 145 pounds. What size would you recommend? 5-11 and 145 pounds. What size would you recommend? I think A3 would be a nice, comfortable fit for you. If you like something a little tighter to the body you could go A2. A2 would be nice and form fitting, A3 a little more comfortable and roomy. Your choice. Q. im 6ft tall 155-160 lbs with a 32 inch waist. 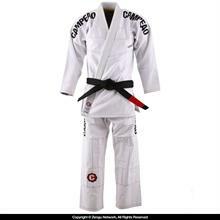 What size gi should i get? A. im 6ft tall 155-160 lbs with a 32 inch waist. 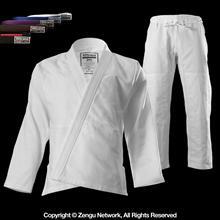 What size gi should i get? Comment. im 6ft tall 155-160 lbs with a 32 inch waist. 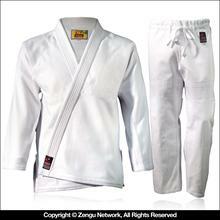 What size gi should i get? Q. i am 6 ft tall 155-160 lbs. what size gi shoud i get? A. i am 6 ft tall 155-160 lbs. what size gi shoud i get? Comment. i am 6 ft tall 155-160 lbs. what size gi shoud i get? i am 6 ft tall 155-160 lbs. what size gi shoud i get? I think the size A3 would be an ideal fit for you. Q. im 6'4" 175 lbs soaking wet. 13 inch arms 30 waist what size shoudl i get? A. im 6'4" 175 lbs soaking wet. 13 inch arms 30 waist what size shoudl i get? Comment. im 6'4" 175 lbs soaking wet. 13 inch arms 30 waist what size shoudl i get? im 6'4" 175 lbs soaking wet. 13 inch arms 30 waist what size shoudl i get? I think you'll find that an A3 conforms to your body the best, although the sleeves and pant legs might be an inch or so short. A4 would be a good length but also too baggy. My opinion - try the A3. If it's a no-go, reach out to us and we'll swap you for a 4. Q. What size do you recommend for me? I'm 5'4", 185 pounds. Waist is 36, chest 42. A. What size do you recommend for me? I'm 5'4", 185 pounds. Waist is 36, chest 42. Comment. What size do you recommend for me? I'm 5'4", 185 pounds. Waist is 36, chest 42. What size do you recommend for me? I'm 5'4", 185 pounds. Waist is 36, chest 42. I think an A2 is going to be the most comfortable and functional for you. Q. I am 5'5 an 220 lbs what size belt do I get for my gi? I'm pretty sure in gis I am an A4 , but the pant . . .
A. I am 5'5 an 220 lbs what size belt do I get for my gi? I'm pretty sure in gis I am an A4 , but the pant . . . Comment. I am 5'5 an 220 lbs what size belt do I get for my gi? I'm pretty sure in gis I am an A4 , but the pant . . . I am 5'5 an 220 lbs what size belt do I get for my gi? I'm pretty sure in gis I am an A4 , but the pant I'm not sure about. You could do either an a3 or a4 depending on if you like a little less length or not. Q. I'm 5'7 140 pounds, and would like a slimmer fitting gi. Would an A1 be okay, or would it be too tight/short and should I go for the . . .
A. I'm 5'7 140 pounds, and would like a slimmer fitting gi. Would an A1 be okay, or would it be too tight/short and should I go for the . . . Comment. I'm 5'7 140 pounds, and would like a slimmer fitting gi. Would an A1 be okay, or would it be too tight/short and should I go for the . . .
Q. I'm 5'7 140 pounds. I prefer a form-fitting gi, but will an A1 be too small? A. I'm 5'7 140 pounds. I prefer a form-fitting gi, but will an A1 be too small? Comment. I'm 5'7 140 pounds. I prefer a form-fitting gi, but will an A1 be too small? I'm 5'7 140 pounds, and would like a slimmer fitting gi. Would an A1 be okay, or would it be too tight/short and should I go for the A2? You could get away with the A1, but there wouldn't be much room for shrinking. The A2 would be comfortable and have some room for adjustment. 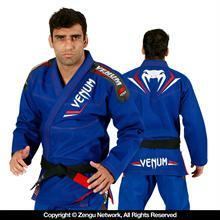 Im 6,1 and 178 what size gi should i purchase ? Q. To join the club, I am 6,1 250. 49 chest and 38 waist. I like all the reviews on this Gi and also read about shinkage. Im not . . .
A. To join the club, I am 6,1 250. 49 chest and 38 waist. I like all the reviews on this Gi and also read about shinkage. Im not . . . Comment. To join the club, I am 6,1 250. 49 chest and 38 waist. I like all the reviews on this Gi and also read about shinkage. Im not . . .
To join the club, I am 6,1 250. 49 chest and 38 waist. I like all the reviews on this Gi and also read about shinkage. Im not sure if an A5 will do or not. I expect to hem the pants and maybe sleeves. I believe the A5 would be the smartest choice for you. The A2 would be a nice fit and perfect for your height. Be careful of shrinkage though because it might get tight around the midsection. If you want to use strategic shrinking, go with the a3. Q. I'm about 5'8" or 5'9" and I weigh 140, A2 would be the best size? A. I'm about 5'8" or 5'9" and I weigh 140, A2 would be the best size? Comment. I'm about 5'8" or 5'9" and I weigh 140, A2 would be the best size? I'm about 5'8" or 5'9" and I weigh 140, A2 would be the best size? Yes I would recommend a size A2 for you. 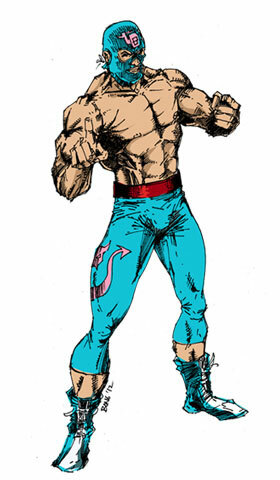 Q. what size gi would you recommend for me who is 6'0 and 185lb? A. what size gi would you recommend for me who is 6'0 and 185lb? Comment. what size gi would you recommend for me who is 6'0 and 185lb? 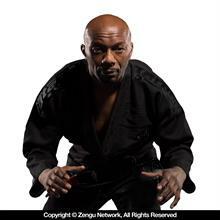 Q. I am 6 feet and 185lb what gi should i get?? A. I am 6 feet and 185lb what gi should i get?? Comment. I am 6 feet and 185lb what gi should i get?? what size gi would you recommend for me who is 6'0 and 185lb? The A3 would be form fitting and functional, but without much room for shrinking (wash-wise). If that's a concern for you, A4 may be a safer play. Q. When can you expect the A3 in white to come back in stock? I would like to take advantage of the free belt promo. A. When can you expect the A3 in white to come back in stock? I would like to take advantage of the free belt promo. Comment. When can you expect the A3 in white to come back in stock? I would like to take advantage of the free belt promo. When can you expect the A3 in white to come back in stock? I would like to take advantage of the free belt promo. It will be back around February 14 - Valentine's Day present for yourself. A3 still out of stock? A3 still not in stock? any idea when coming in? I'm 5'9" 190lbs with a 33" from the top of my shoulder to the bottom of my hand. I have a large chest and fairly big arms. I tried using an A3 generic type gi that came when I signed up about a year ago but had to switch to an A4 becuase it kept riding up and out of my belt. woudl i be safer going with an A4 vice A3 and shrinking if necessary? Also, 34" waist, what belt size? From the sound of it, I think you'd be happier going with the A4. Although you would fit in the A3, it would likely be a bit tighter than how you like it. For the belt, I believe an A3 would cut it. Q. I recieved this gi 2 days ago and it is amazing! its not only for beginners because Royler Gracie wears this gi, thats another reason i bought this . . .
A. I recieved this gi 2 days ago and it is amazing! its not only for beginners because Royler Gracie wears this gi, thats another reason i bought this . . . Comment. I recieved this gi 2 days ago and it is amazing! 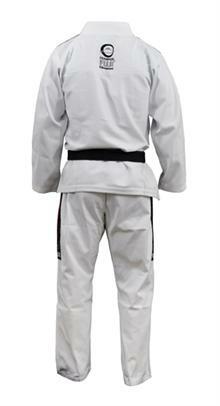 its not only for beginners because Royler Gracie wears this gi, thats another reason i bought this . . .
Q. Would you recommend an A3 or A4 for someone 6'1", 195 lbs? Thank you! A. Would you recommend an A3 or A4 for someone 6'1", 195 lbs? Thank you! Comment. Would you recommend an A3 or A4 for someone 6'1", 195 lbs? Thank you! Would you recommend an A3 or A4 for someone 6'1", 195 lbs? Thank you! If you like a gi that is more form fitting during workouts, the A3 is the right choice. If you prefer something more loose, go with A4. Q. I am looking to purchase my first Gi for BJJ. I am 6'6" 250lbs (in the midst of losing weight, will be in the 220 range when it's . 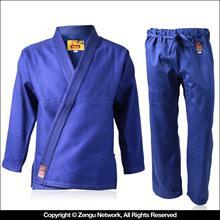 . .
A. I am looking to purchase my first Gi for BJJ. I am 6'6" 250lbs (in the midst of losing weight, will be in the 220 range when it's . . . Comment. 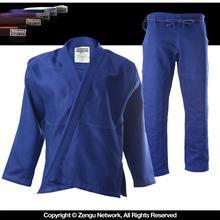 I am looking to purchase my first Gi for BJJ. I am 6'6" 250lbs (in the midst of losing weight, will be in the 220 range when it's . . . I am looking to purchase my first Gi for BJJ. I am 6'6" 250lbs (in the midst of losing weight, will be in the 220 range when it's all said and done). Are the pants longer the bigger the sizes are? What size would be best? Go with an A6 and shrink to fit. Shrink in small increments to be sure you don't overdo it. Good luck with the weight loss. Q. I'm 5'8 68in and 170 lbs at most. Usually compete at LW (167lbs). A3 tops are perfect for my build but A3 pants are too small. Would you . . .
A. I'm 5'8 68in and 170 lbs at most. Usually compete at LW (167lbs). A3 tops are perfect for my build but A3 pants are too small. Would you . . . Comment. I'm 5'8 68in and 170 lbs at most. Usually compete at LW (167lbs). A3 tops are perfect for my build but A3 pants are too small. Would you . . .
Q. Hey guys I'm 5'8, 180-185 lbs. Large chest, with broad shoulders. My other two GIs are A3, one is a STORM the other a Renzo Gracie plain Gi. . . .
A. Hey guys I'm 5'8, 180-185 lbs. Large chest, with broad shoulders. My other two GIs are A3, one is a STORM the other a Renzo Gracie plain Gi. . . . Comment. Hey guys I'm 5'8, 180-185 lbs. Large chest, with broad shoulders. My other two GIs are A3, one is a STORM the other a Renzo Gracie plain Gi. . . . I'm 5'8, 180-185 lbs. Large chest, with broad shoulders. My other two GIs are A3, one is a STORM the other a Renzo Gracie plain Gi. I am told that this Gi shrinks. Should I therefore go with an A4??? I tend to wash cold and hang-dry. Your body size is definitely an A3. If you're careful about the wash and dry, I think you'll be ok with A3 again. Of course, some people like to go up one and shrink it on purpose just to eliminate the worry about it. I'm 5'7 140 pounds. I prefer a form-fitting gi, but will an A1 be too small? Q. GREAT GI FOR PRICE!! A. GREAT GI FOR PRICE!! Comment. GREAT GI FOR PRICE!! Q. Pretty much everyone above said it, but this is a great gi and the price makes it even better. I withstands a lot of punishment. I was originally . . .
A. Pretty much everyone above said it, but this is a great gi and the price makes it even better. I withstands a lot of punishment. I was originally . . . Comment. Pretty much everyone above said it, but this is a great gi and the price makes it even better. I withstands a lot of punishment. I was originally . . . Pretty much everyone above said it, but this is a great gi and the price makes it even better. I withstands a lot of punishment. I was originally told about it by a high level player as one of his all time favorites. It's good for the beginner as well as the expert. Q. 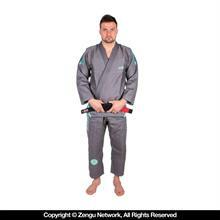 This gi is a great entry-level item, as well as a great hot weather or back up gi. It's strong enough to handle rigorous training, but not become . . .
A. 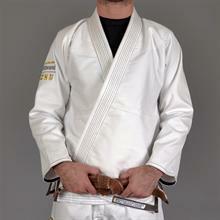 This gi is a great entry-level item, as well as a great hot weather or back up gi. It's strong enough to handle rigorous training, but not become . . . Comment. 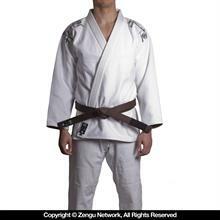 This gi is a great entry-level item, as well as a great hot weather or back up gi. It's strong enough to handle rigorous training, but not become . . . 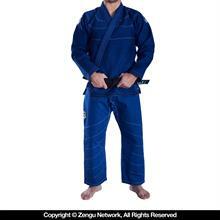 This gi is a great entry-level item, as well as a great hot weather or back up gi. It's strong enough to handle rigorous training, but not become akin to a weighted vest near the end of a long training session. Although I have yet to experience such a thing, I've heard stories about shrinkage being an issue. 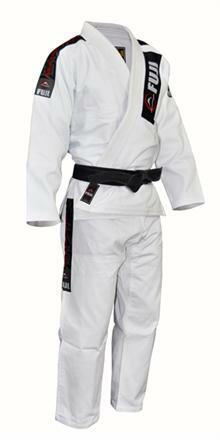 However, you can't go wrong with a good gi like this for under $100. Q. This is one of the nicest looking gi's right now. Good cut and plain styling!!! A. This is one of the nicest looking gi's right now. Good cut and plain styling!!! Comment. This is one of the nicest looking gi's right now. Good cut and plain styling!!! This is one of the nicest looking gi's right now. Good cut and plain styling!!! Q. Good stitching. Nice stiff collar, holds up well after washing. A. Good stitching. Nice stiff collar, holds up well after washing. Comment. Good stitching. Nice stiff collar, holds up well after washing. Good stitching. Nice stiff collar, holds up well after washing. Q. Probably the best gi you can buy at this price. I know many other BJJ students that have been training for a long time, and own many other . . .
A. Probably the best gi you can buy at this price. I know many other BJJ students that have been training for a long time, and own many other . . . Comment. Probably the best gi you can buy at this price. I know many other BJJ students that have been training for a long time, and own many other . . . Probably the best gi you can buy at this price. I know many other BJJ students that have been training for a long time, and own many other gi brands, but they all have nothing but positive things to say about the Fuji. Q. Probably the best gi you can get for under $100. The only problem I have is the size gap between A3 and A4 is huge. If you normally . . .
A. Probably the best gi you can get for under $100. The only problem I have is the size gap between A3 and A4 is huge. If you normally . . . Comment. Probably the best gi you can get for under $100. The only problem I have is the size gap between A3 and A4 is huge. If you normally . . . Probably the best gi you can get for under $100. The only problem I have is the size gap between A3 and A4 is huge. If you normally wear and A2 you should get an A3. If you normally wear an A3, the A4 will probably run large on you. Q. 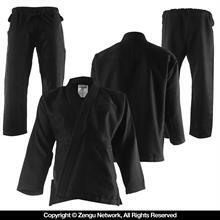 This Gi is a great beginner level gi. If you just started BJJ and need a reliable and durable gi this is for you. A. 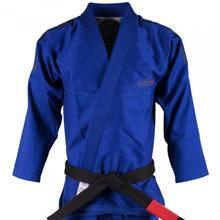 This Gi is a great beginner level gi. 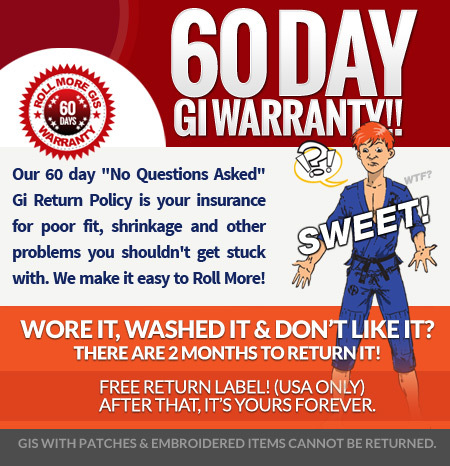 If you just started BJJ and need a reliable and durable gi this is for you. Comment. This Gi is a great beginner level gi. If you just started BJJ and need a reliable and durable gi this is for you. This Gi is a great beginner level gi. If you just started BJJ and need a reliable and durable gi this is for you. Q. Looks sick. Band at the bottom keeps it in place well. You'll love it. A. Looks sick. Band at the bottom keeps it in place well. You'll love it. Comment. Looks sick. Band at the bottom keeps it in place well. You'll love it. Q. Excellent gi. Been using it for 2 years and still love it. A. Excellent gi. Been using it for 2 years and still love it. Comment. Excellent gi. Been using it for 2 years and still love it. Excellent gi. Been using it for 2 years and still love it.